My name is K. Haseena. I am 7 years old. My father has died in accident, and my mother is deaf, dumb, and very ill. I am learning many things, and I study hard. I like to stay here at the orphanage. I would very much like to have a sponsor. You can begin your sponsorship of Haseena by clicking here to go to our secure online donation page for New Hope for Children Orphanage. 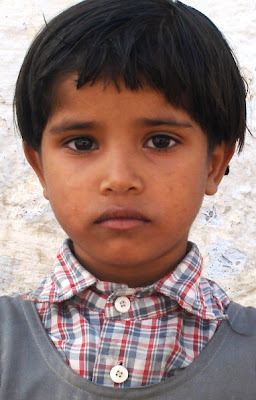 Your donation of $29 per month provides all of Haseena's food, clothing, education, and a loving home environment. How is sponsorship of a child at New Hope for Children Orphanage different from other child sponsorship programs?